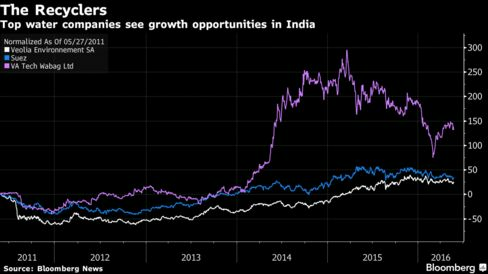 India’s water crisis is set to spur the development of a market for recycling plants that could eventually be worth at least $17 billion, driven in part by demand from industries, according to Vishvaraj Infrastructure Ltd. The nation’s largest cities produce 38 billion liters of waste water daily, all of which will have to be recycled eventually, Chairman Arun Lakhani said. While that requires major investment in treatment facilities, the government will need to provide sufficiently attractive waste water contracts to realize the full potential of the market, he said. One of the country’s worst droughts in decades is set to ease from June if predictions of good monsoon rains prove accurate. Even so, the parched conditions underscore the longer-term challenge from depleting groundwater as well as surface-water disruption. 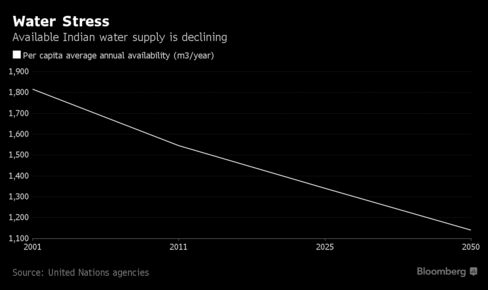 Shortages threaten to increase flash-points between industry, agriculture and the 1.3 billion people in India needing drinking water. More than 40 percent of about 186 gigawatts of coal-fired capacity in India could switch to using recycled waste water in the next five years because of federal government rules, Lakhani said. Treatment projects worth at least $8 billion could arise during this time, he said. Money is the major obstacle to expanding municipal recycling. 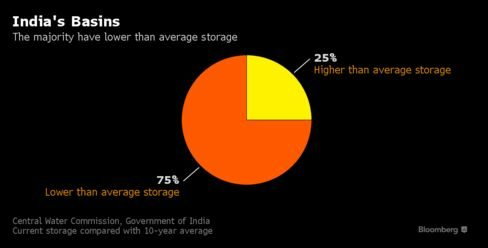 Metering is patchy in India, and officials are under pressure to keep tariffs affordable as most people live on less than $3.10 per day. 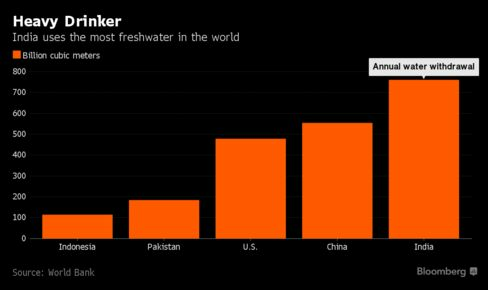 Annual sales of treated water are only about $1.6 billion currently in Asia’s No. 3 economy, consultancy TechSci Research Pvt. estimates.